The article below is adapted from a report sent by BGR’s partner in Cameroon, CENCUDER. The mission of CENCUDER is “to enable rural youths and women [in Cameroon] to acquire survival skills in order to secure a better future for themselves through education and training in life and vocational skills.” Ebase village is among the most marginalized rural areas in the Kupe-Muanenguba Division in southwest Cameroon. Ebase village operates a local community primary school as the only social facility. 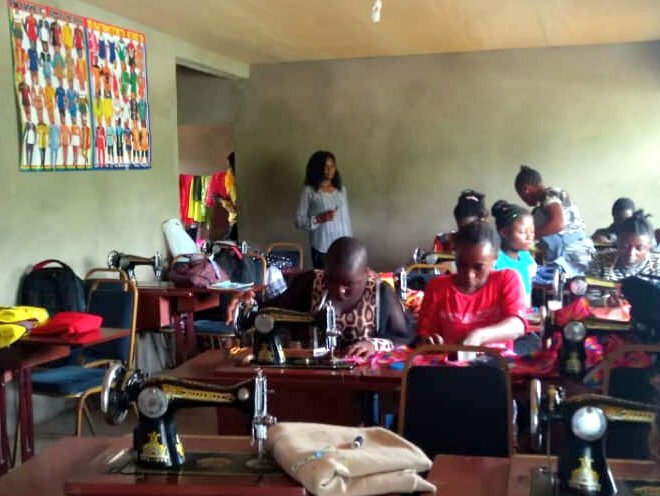 Families are unable to send their children to towns and cities for their schooling because they cannot afford to pay house rents and buy requisites like uniforms and books. Only 58% of children complete primary school. The BGR-sponsored school feeding program aims to enhance the education and health of over 95 poor and needy village children by distributing meals to them. 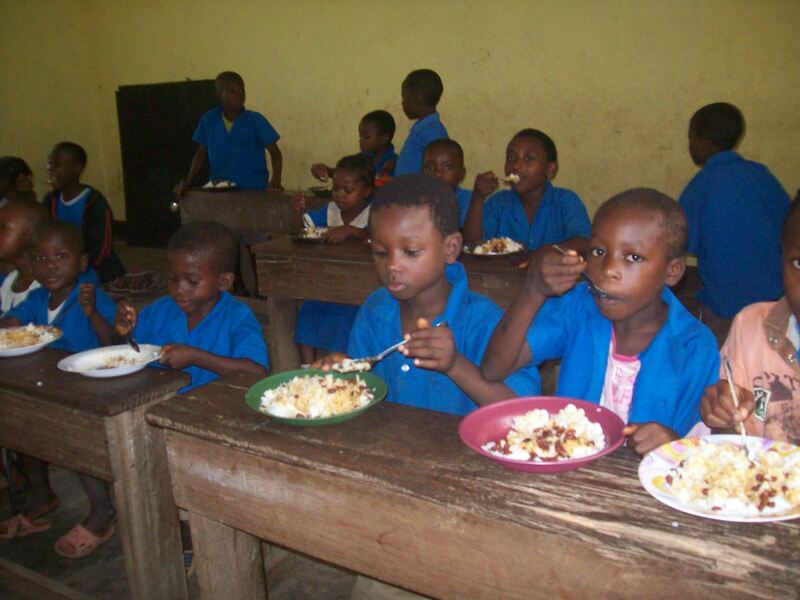 It promotes literacy among school-age children suffering from chronic hunger and an insufficient diet. Introduced last year with support from BGR, the feeding program has helped solve many problems faced by the local community. Many more children now attend school and parents have seen improvements in their children’s academic and moral output. It is quite astounding that in this country—which is 40% Catholic, 30% Protestant, 18% Muslim, and probably 0% Buddhist—it is a Buddhist organization in far-off America that has come to the assistance of the poor children of the region. A BGR project in the Bangem subdivision of Cameroon, in West Africa, is making big news. The project, which started last academic year, aims at enhancing the education and health of over 95 poor and needy village children attending the Ebase-Bajoh primary school. 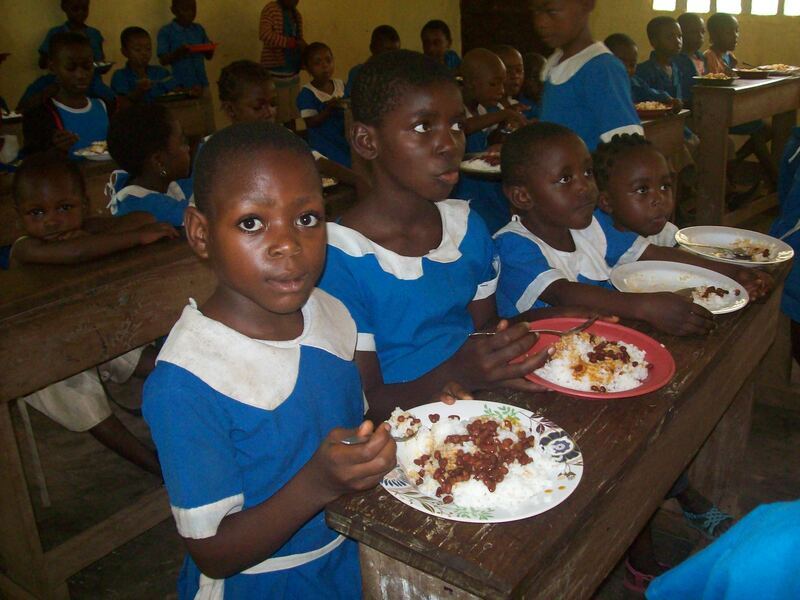 The core of the project is the distribution of a hot school lunch to the pupils, many of whom are girls and orphans. The feeding program, which is intended to promote literacy among school-age children suffering from chronic hunger and an insufficient diet, is the first of its kind to be undertaken by an NGO in the Bangem subdivision. 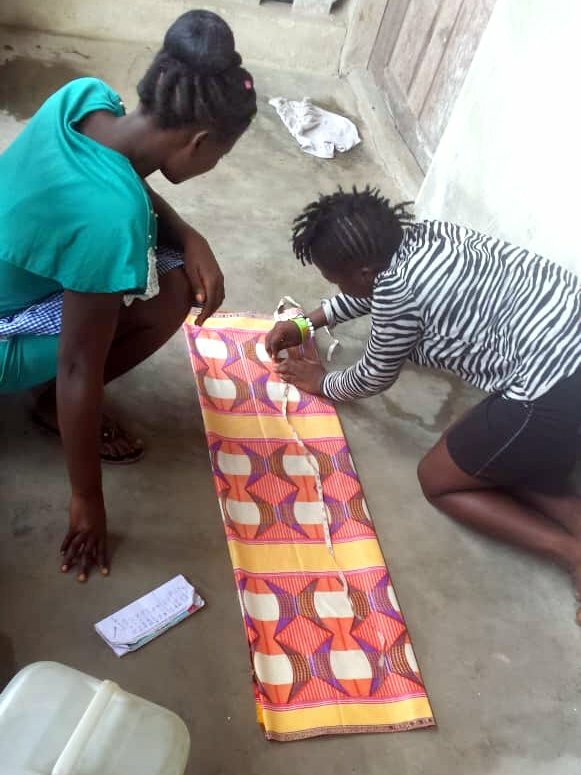 The program is having a strong positive impact on the lives of these children, many of whom might have had to forgo their primary education without the meal program. In the 2016–17 academic year, which just began, the Ebase-Bajoh primary school has witnessed a rise of 15% in school enrollment. Many pupils have left neighboring primary schools to join the pupils of Ebase just because of the delicious meals their peers in Ebase shared with them when they met during youth week and the national day’s activities. The pupils of Ebase-Bajoh often regret vacations or holidays in the course of the academic year since they know they would have to miss their balanced meals at this time. Each time the director of CENCUDER arrives at Ebase, the children always rush and scramble around him just to find out the next type of meal to be served to them. So far, many parents have testified to the improvement of their children’s health, academic performance, and behavior at home. Absenteeism on account of ill health, which affected the students’ academic performance, has been significantly reduced. Through this feeding program, pupils whose parents can’t even afford a meal are ensured of a balanced meal each day. The pupils and parents are deeply grateful to BGR for this program. 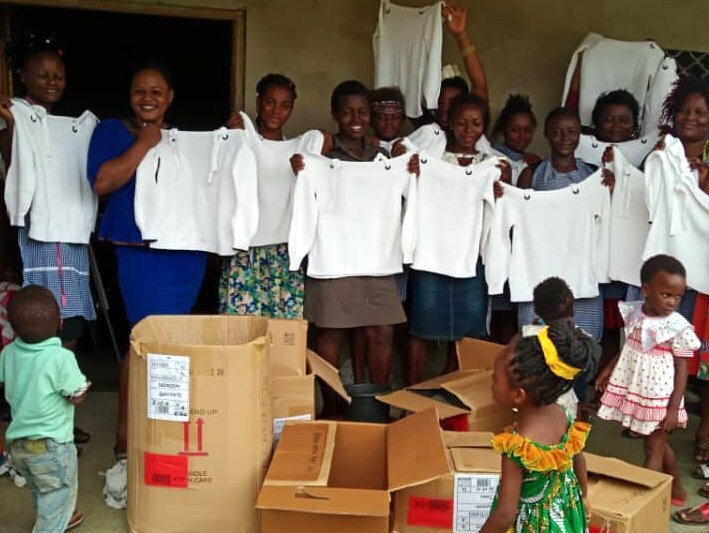 They thank BGR for the joy and smiles its generosity has brought in the lives of these needy kids and parents in Ebase village and for boosting CENCUDER’s image in the Southwest Region of Cameroon. Through this program, the government of Cameroon and other stakeholders will understand that fighting illiteracy requires more than just making primary education free. 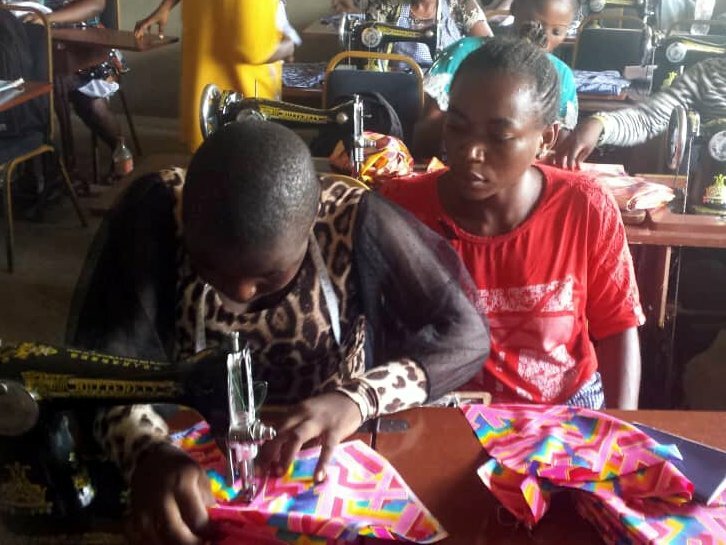 It also requires promoting initiatives that will serve as an incentive for children to attend school and remain healthy throughout the school year. 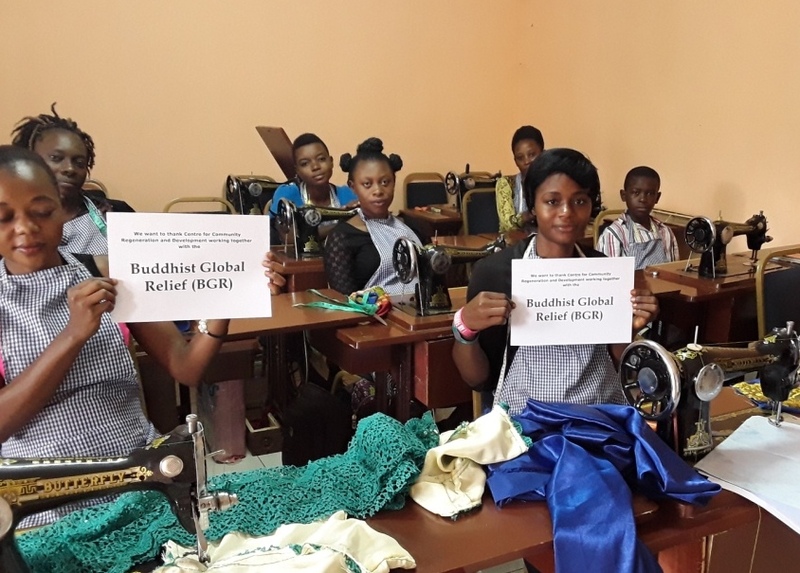 The feeding program sponsored by Buddhist Global Relief has so far been a fantastic success. We are proud to say that many pupils who initially did not like going to school are now the first persons to come to school with their plates. Some even attempt to come on Saturday, which is not a school day, thinking that they are going to be served with food. So far, the performance of the children in the first results has improved by 60% compared to last year’s first term. The health of the children is also becoming better. Children who suffered from diseases due to malnutrition, like Kwashiorkor, which affected their performance in school, are doing quite well. Many primary schools in the subdivision are coming to our office to have the program extended to their school as well. There is a lot of pressure on our side from the children, the parents, and head teachers of other schools. 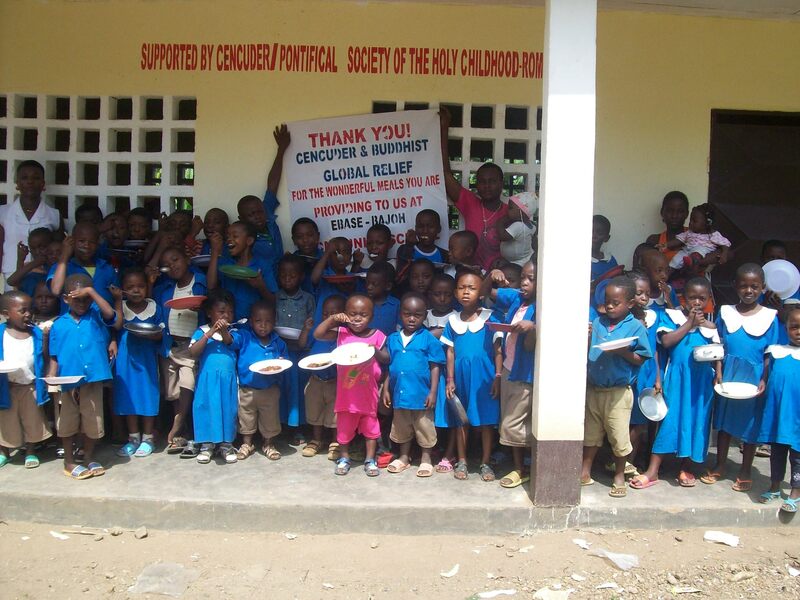 In fact, our feeding program is the first of its kind to be instituted by an NGO in the southwest region of Cameroon. The program is making great news.